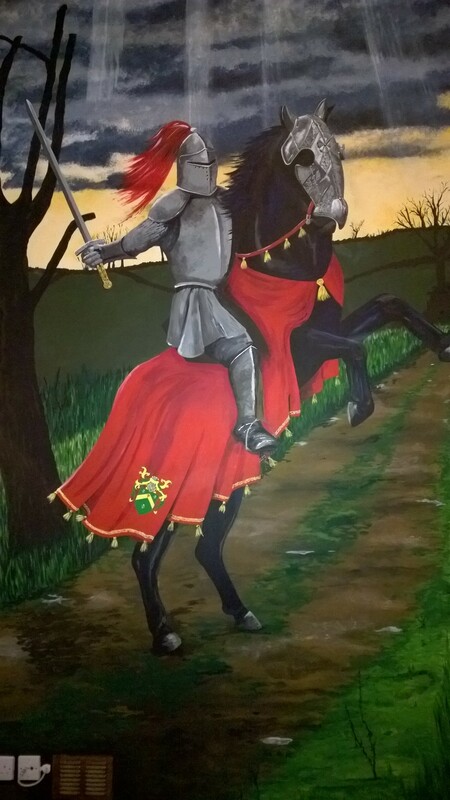 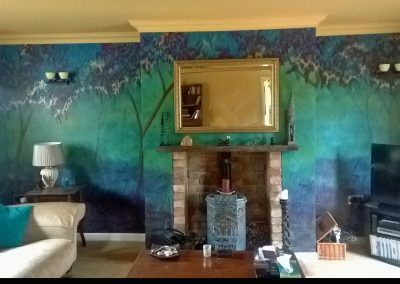 Murals are a great way of decorating any room in the home. A cost effective and hard wearing solution, they can be subtle, bold, floral or geometric. 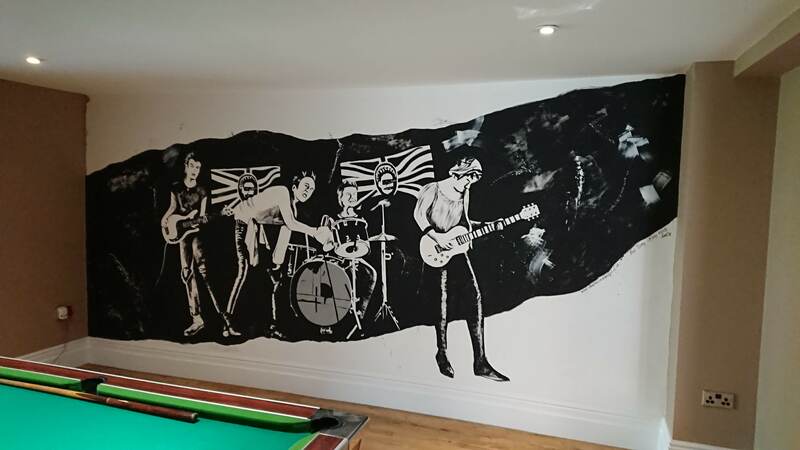 They can be painted anywhere on your wall and can take up as much or as little space as you want. 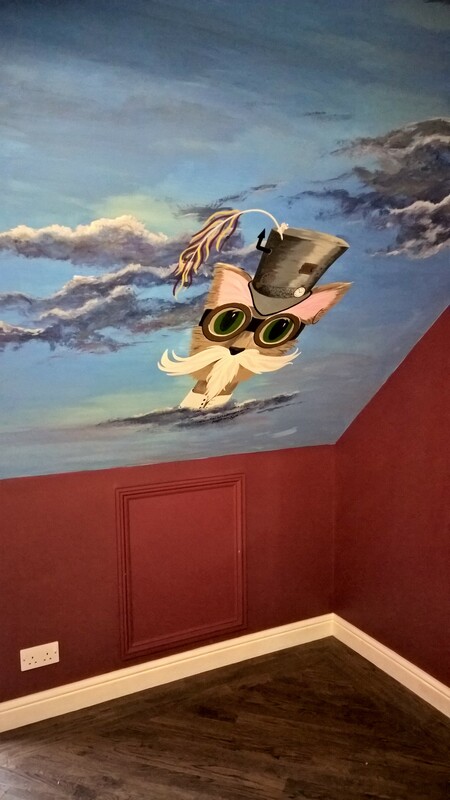 We can paint ceiling murals, door murals and even floor murals. 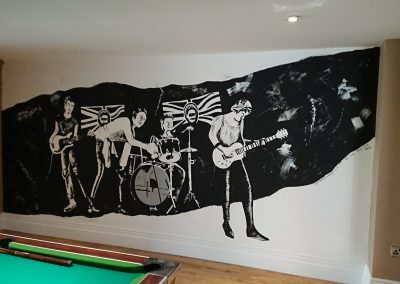 Each mural is individual and designed especially for you, we take your ideas and translate them into stunning wall art that reflects your tastes and lifestyle. 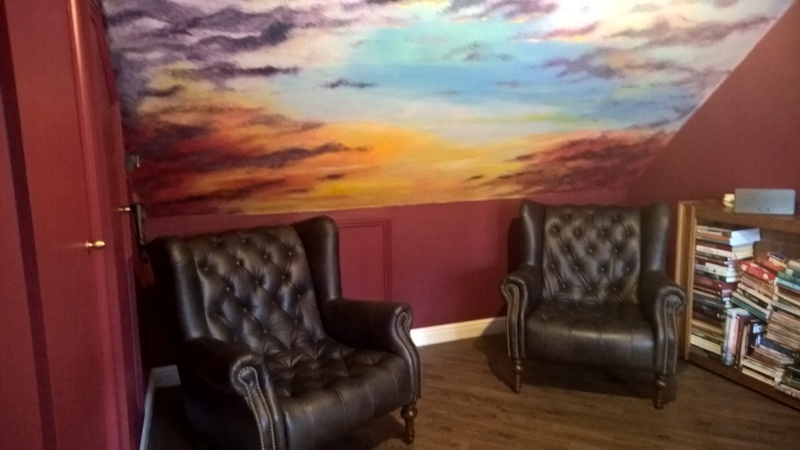 We can match to other furnishings for a completely co-ordinated look and as a trained interior designer, I will ensure that your mural not only looks great, but works with the other elements in your room and the people using the space. 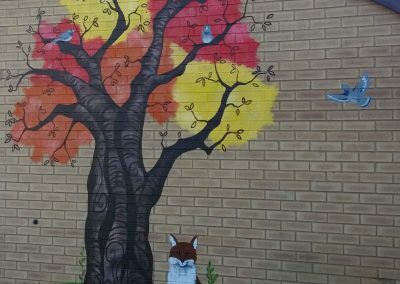 After some time out of favour, murals have in the last decade, enjoyed something of a revival. 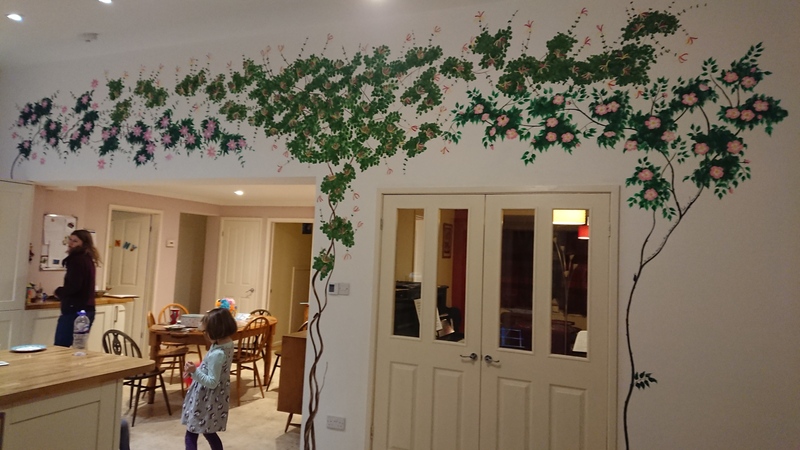 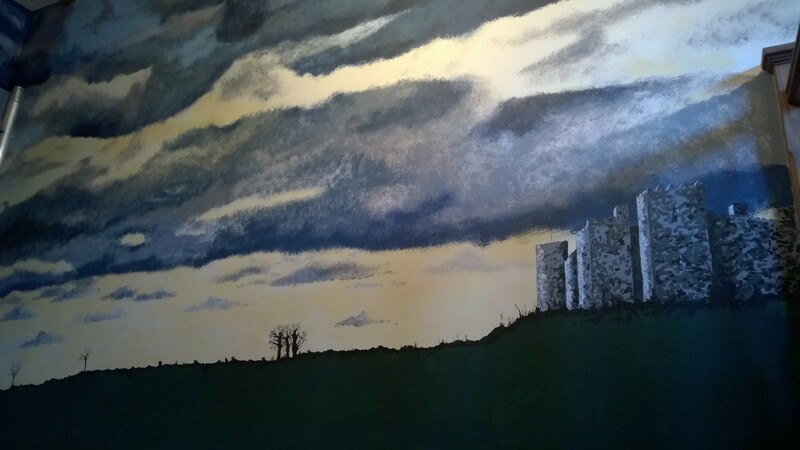 You can see some amazing murals all over social media, in hotels and stately homes around the world, so it is not surprising that more and more people are looking to explore the versatility of murals in their own home. 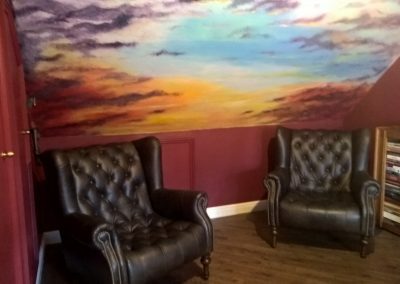 Interior wall art is a fantastic way of decorating your home and can be a bold or as subtle as you want. 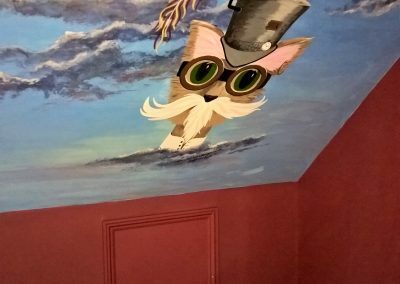 Unlike wallpaper, murals can cover part of a wall, ceilings, doors, even floors. 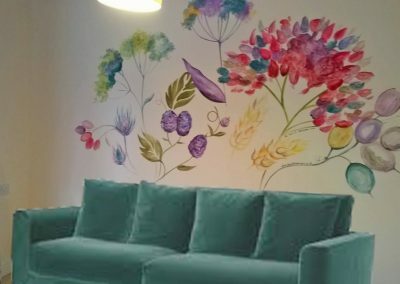 Wall murals offer an effective solution for hallways, bathrooms, kitchens and stairwells. 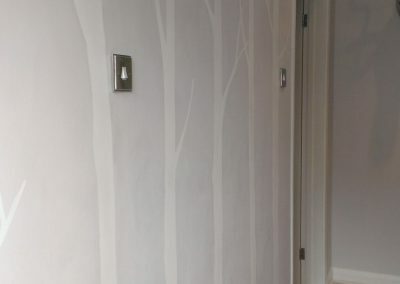 In fact anywhere a stunning, but hard wearing finish is desirable. 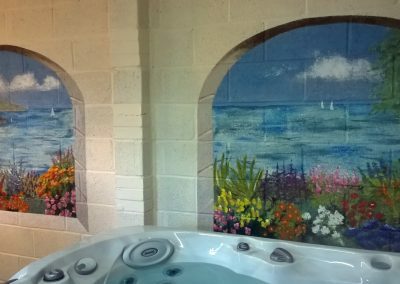 We can even protect murals with a completely waterproof finish making them ideal for showers. 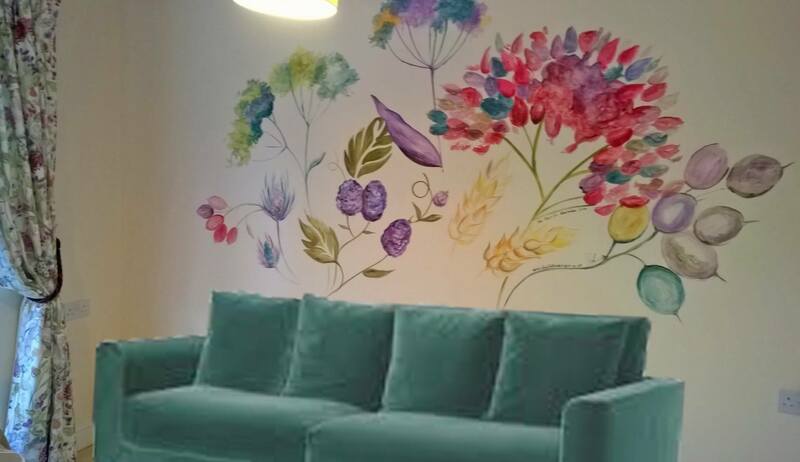 Every wall mural is designed especially for you and painted to your exact requirements. 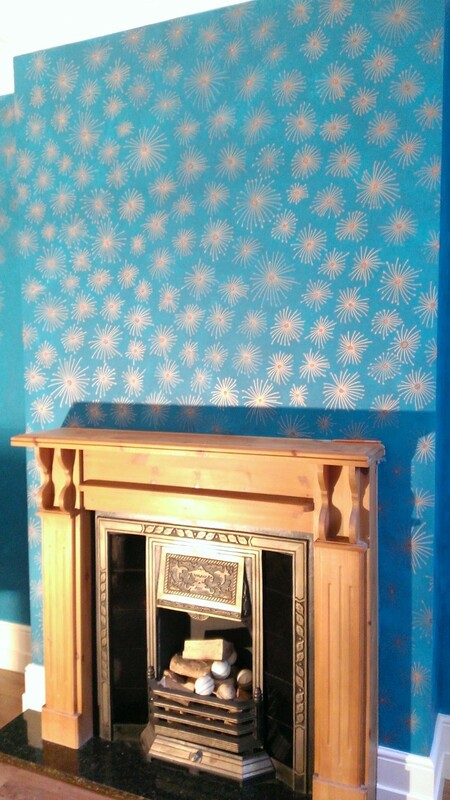 Hand painted wallpaper has been around for hundred’s of years. 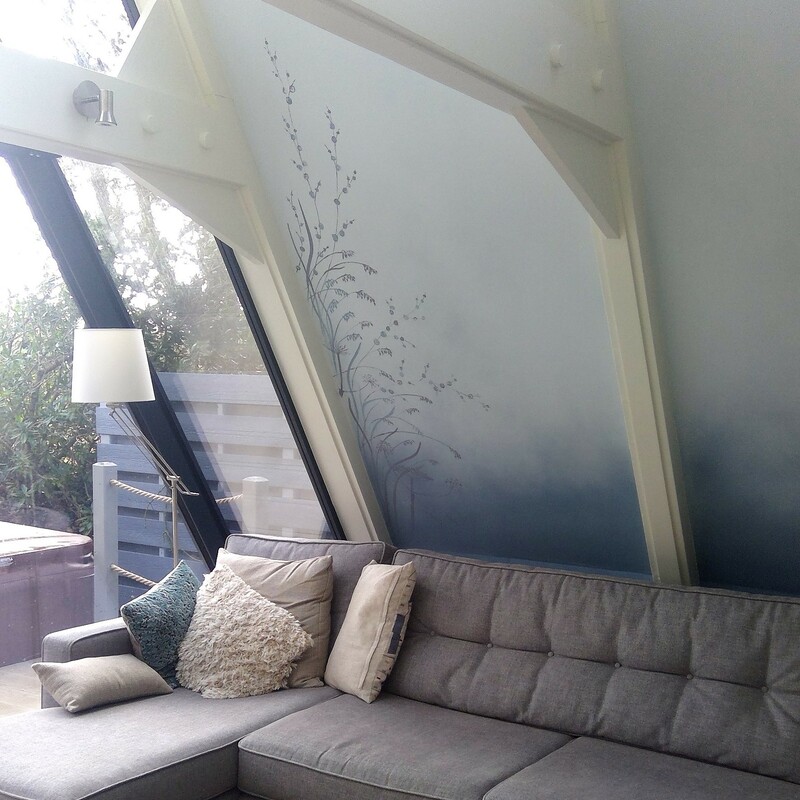 Is does, on the face of it, seem like a huge extravagance, but in reality, it is only marginally more expensive than a high quality printed wallpaper and the flexibility is well worth it. 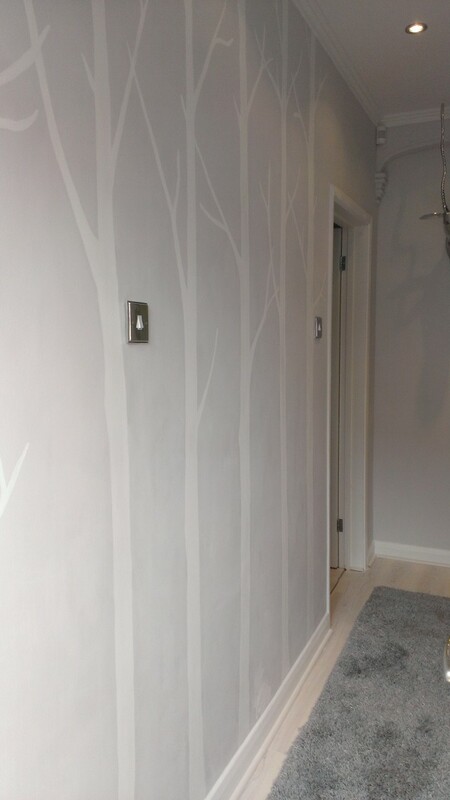 Hand painting walls also is a more practical and hard wearing solution, great if you have little ones. 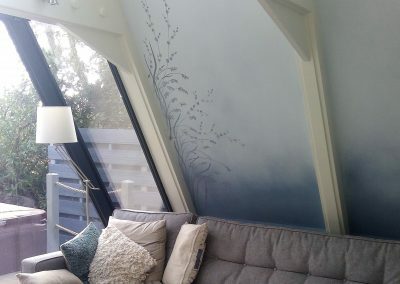 Sometimes, it is just a case of not being able to find the right pattern or colourway to fit your scheme. 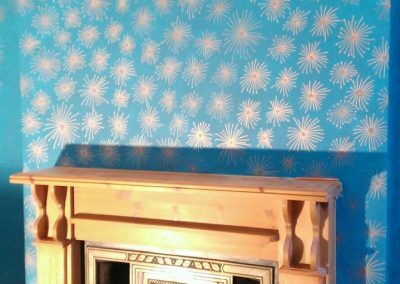 With hand painted wallpaper, you retain control over every element, colour, size and density of pattern, how shiny it is and how much of the wall you want covered. 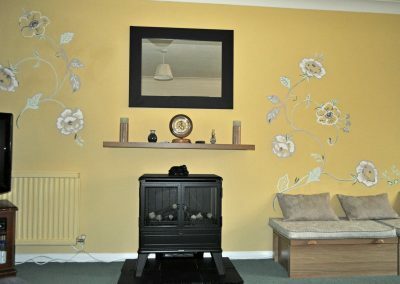 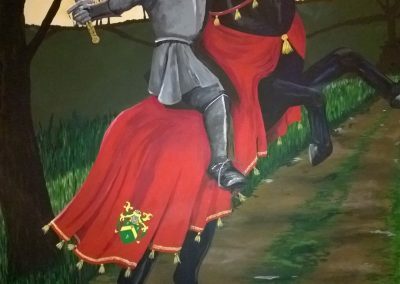 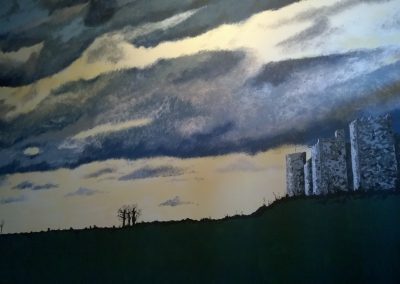 We can paint directly onto your walls, or supply printed wallpaper for you to hang, made you your unique design. 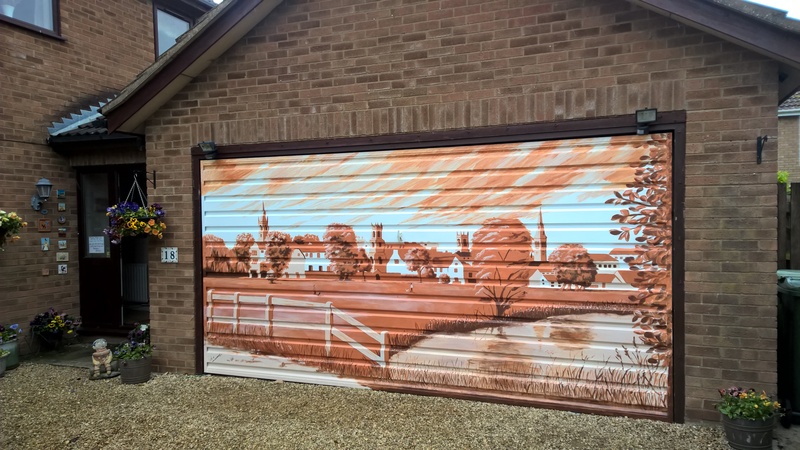 Why have something designed for someone else, when you can have something that matches your exact requirements. 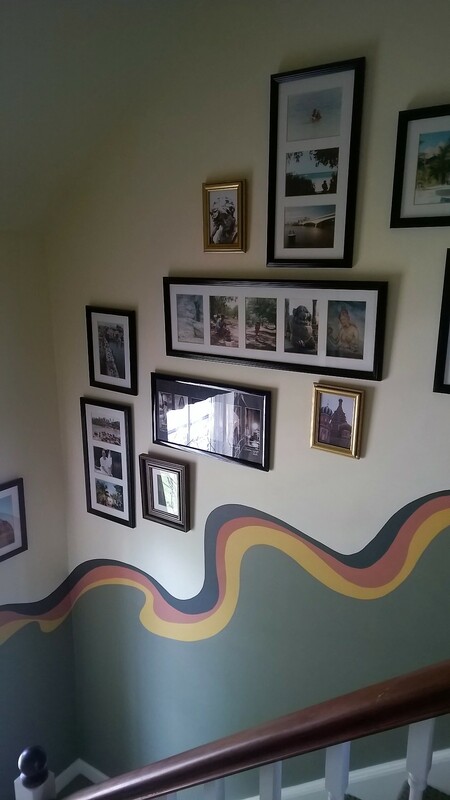 Create a totally unique wall that will bring you joy every time you look at it. 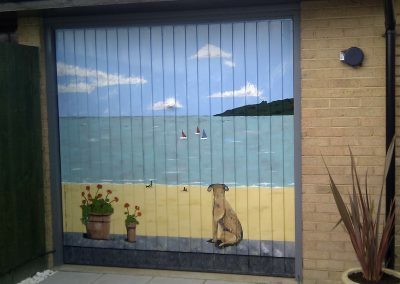 Murals and wall painting are not just for inside, much of our work takes place outside. 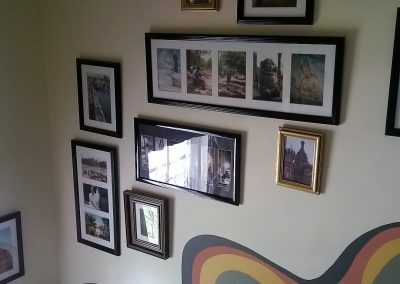 Gardens and the way we use them, has changed. 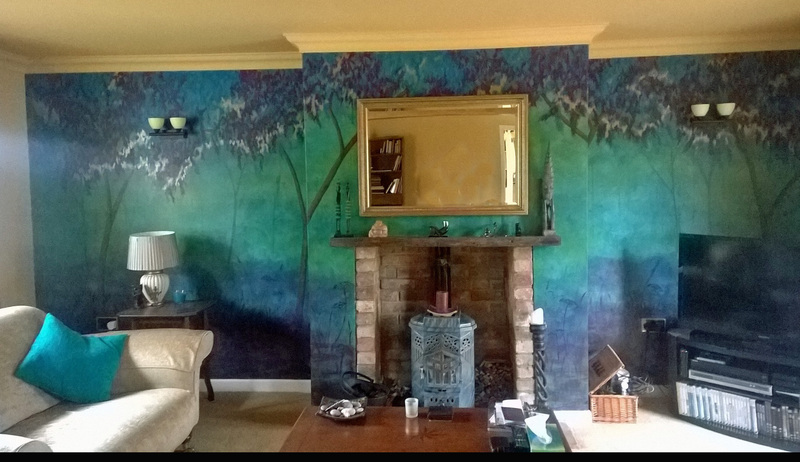 We are looking for our gardens to be an extension of our homes and so the notion of them being ‘decorated’ is not as alien as once it was. 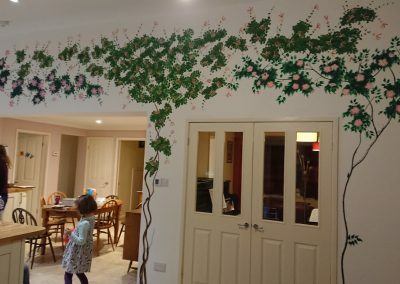 It also enables you to have colour and interest all year round, without the pruning! 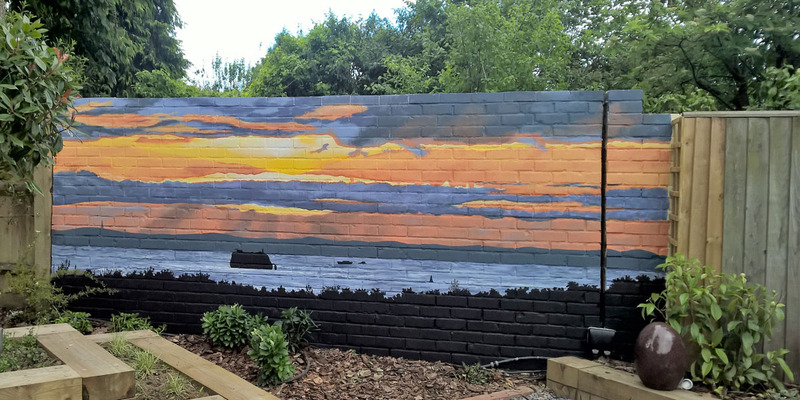 Having a mural in your garden is an extremely practical way of introducing form, colour and context to your garden all year round. 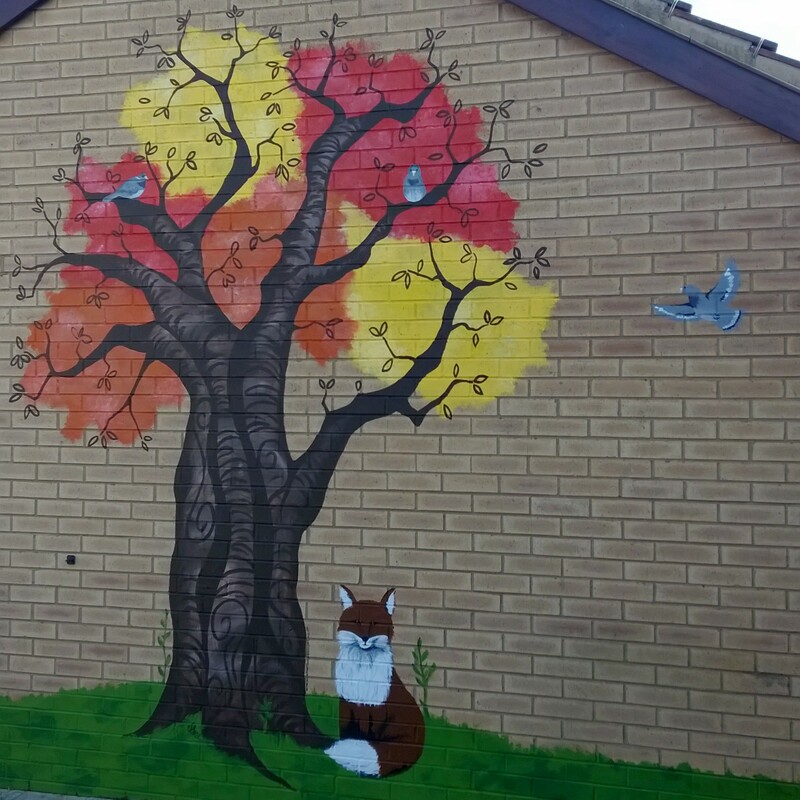 The improvement in paint technology means that exterior murals will last at least 5 -7 years, whatever direction your wall face. 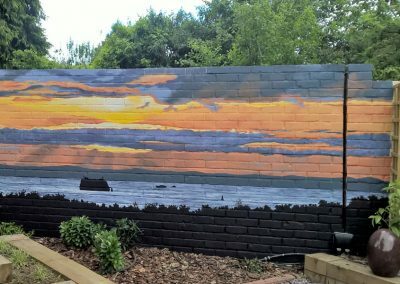 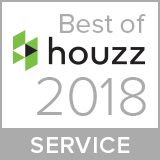 Clients often want a view that is significant to them or trees or foliage that you don’t have to care for, meaning their garden becomes a place of interest in all seasons. 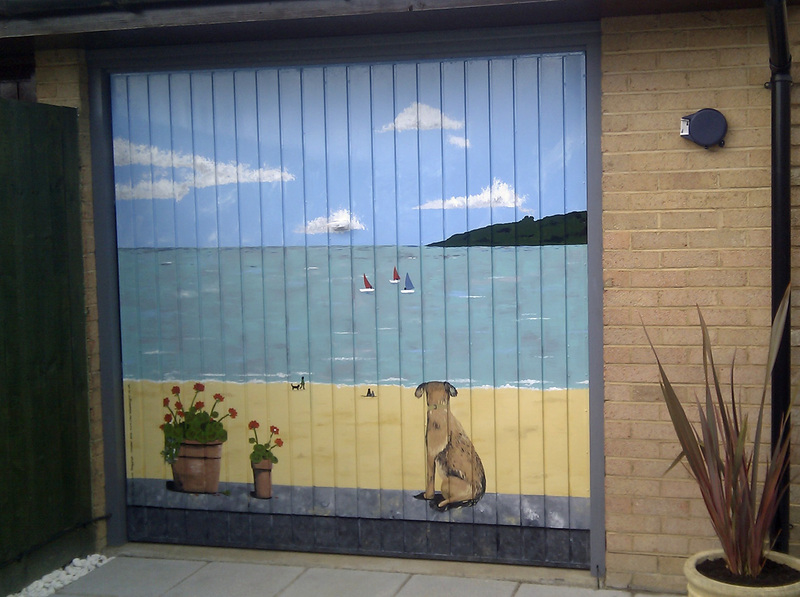 We also paint garage doors which makes driving up to your home a joy, every time you do it. 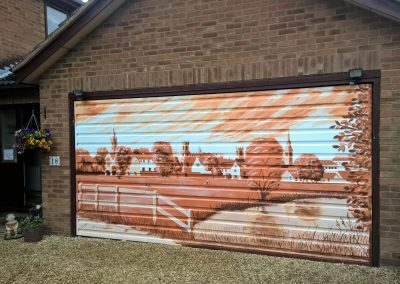 Again, scenes that have significance are a favourite for garage door murals, or why not try painting what you would like to see inside?